The long months have gone by without much visible progress; however, rapid headway is undergoing. During the important WASC weekend, PVIT and some members of the Team applied Epoxy onto the canoe, despite the heavy hurricane-like storm. The new paint job and the colors on the boat shine brightly. The PSA (Public Service Announcement) was filmed on the rocky PV beaches (near the cliffs). 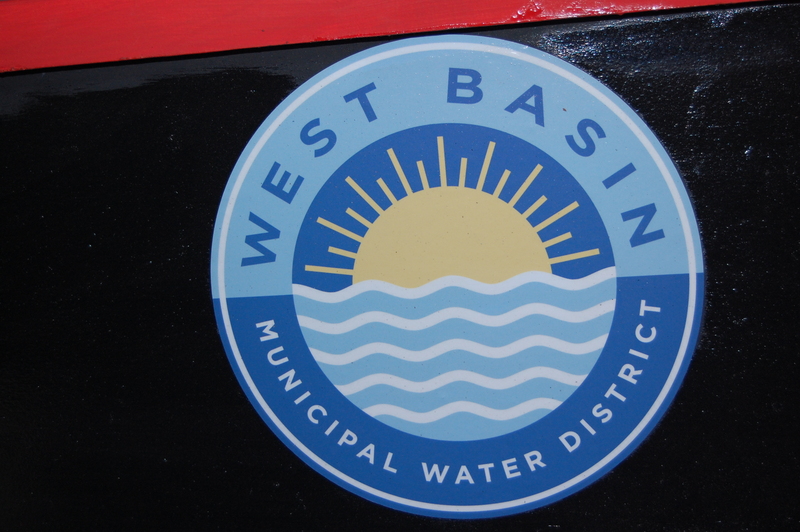 The West Basin Municipal Water District Logo on the side of the canoe clearly depict the water-themed project, but furthermore, the rising sun shows the importance of solar energy in today’s society. The Solar Cup encompases the major environmental topics of water conservation and renewable energy, for example solar energy. More importantly, the half ocean, half sun details in the caliber of both. The world cannot get better without the combined efforts of conserving water and utilizing solar energy. Robomagellan: We’re the Queen(s) of the world!